On-site estimates for exterior seal-up of your home or building. On-site estimates for decontamination of affected areas. Insurance claim specialists for wildlife and animal damage. It is important to understand when shopping for animal and wildlife removal services in greater Nashville and Middle Tennessee that your local animal control, humane shelter, and State Wildlife Agency will not provide services for private wildlife problems. In cases where there is a health and safety threat, they will help, but will only be available during certain hours. Most wildlife and animal problems will be referred to a private wildlife company. When shopping for a professional company, find out how humane, prompt service, and the plan for help according to your situation. Follow these recommendations for the best result. Find out, What happens to the animal? How often will traps be monitored? Look out for unethical fees or charges. Does the company offer opening repairs. Insist on recommendations for prevention, to prevent a re-occurrence. Do your research, get referrals from trusted sources. Has the company been in business for several years? Ensure the company is licensed and insured. Ensure the company has workers compensation. Does the company sub-out work? Or use it’s employees? Does the company offer clean-up services? Does the company offer dropping removal? Most wildlife problems will be well documented by reputable companies with pictures and videos of the animal damage, along with a written estimate for a permanent solution. Contact a Animal Pros specialist for an evaluation of your home or business today. Pricing for animal removal services of trapping, manual extractions, search and removals, and capture and re-locations can be priced over the phone very easily. Certain services can not be priced over the phone, like, repair of openings, as there could be one opening or 10 openings. Repairs really need to be evaluated on-site to determine the best way to aesthetically repair the opening to keep the animal out for good. Clean-up and restoration services also can not be priced over the phone, because in some cases it will be needed, and in some cases it will not. Clean-up and restoration services will include animal dropping removal, vapor barrier removal and replacement, insulation services, and disinfecting services. Some homes will require these services if damage is progressed, and some homes may have caught the problem early before any damage has occured. Contact a Animal Pros speccialist today for an evaluation. Nashville, Franklin, Brentwood, Hendersonville, Murfreesboro, Clarksville, Goodlettsville, Columbia, Spring Hill, Columbia, Lebanon, Mt. Juliet, Gallatin, Fairview, Dickson, Ashland City, White House, Portland, Springfield, Greenbriar, Cookeville, Smyrna, LaVergne, and Middle Tennessee. What Is The Cost For Animal Removal? 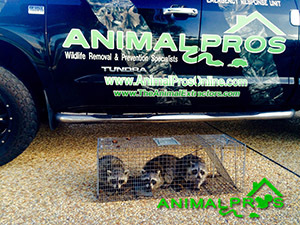 Animal and wildlife removal services can vary in prices for removal depending on the type of animal causing the problem. Some animal removal of certain species does require a extreme amount of field work for proper control. Prices will vary according to a mouse in a kitchen and between a pack of coyotes causing a neighborhood problems. With certain animals there may need to be specific permits obtained for control and removal, permission granted from state or federal agencies, or HOA or community approval. Usually a inspection of the property, animal causing the problem, and damage caused by the animal, is crucial to finding a resolution. The cost will likely be based on removal initially, but can fluctuate when adding in costs for long term control or additional services if needed. 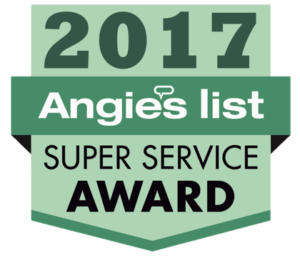 Contact a Animal Pros specialist today for a inspection.